In the 19th century towards the end of the Spanish colonization, the Spanish Government undertook a massive project of constructing lighthouses to light the seas, to protect the increasing maritime trade in the Philippines during that time, where the country was opened to a wider network of international trade after the Manila-Acapulco Galleon Trade. 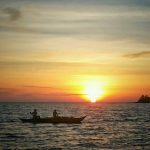 This situation meant that there would be more shipping routes to and from the various islands and more connections to Manila and beyond. The plan called “Plan General de Alumbrado de Maritimo de las Costas del Archipelago de Filipino” or the Masterplan for the Lighting of the Maritime Coasts of the Philippine Archipelago which was drafted in 1857 was to light the seas and channels of the country to guide ships in and through the most important sea channels to the Ports of Manila, Iloilo and Cebu. Spanish engineers were tasked to prepare, design and supervise the construction of at least 70 lighthouses as planned. Different towers were designed by the engineers. 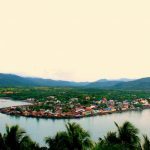 The most significant are those made by masonry of either brick or stone such as the one in Bagui Point, Aroroy and Faro de isla Gintotolo, Balud, both in the Province of Masbate. Towers made of metal known as Tourelle is pre-fabricated and manufactured in France and can be easily assembled on site usually supported by metal framework. 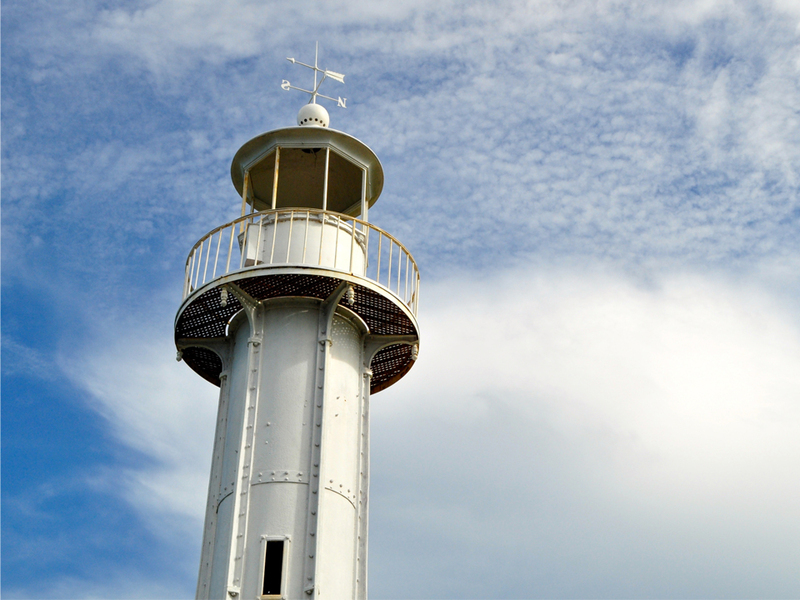 An example of Tourelle tower is that of the Bagatao Island Lighthouse (Luz de Isla Bagatao). 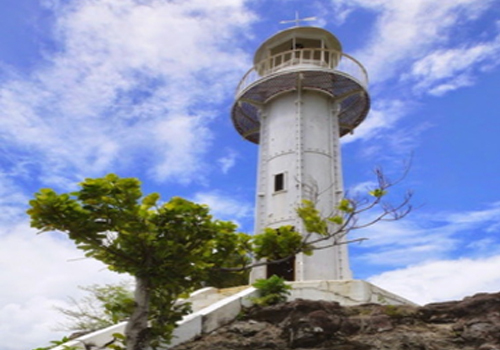 The Bagatao Island Lighthouse is located on the eastern side of the entrance to Sorsogon Bay, Province of Sorsogon. 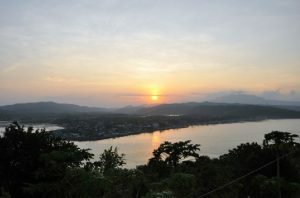 It stands at 29 ft. (8.8 m.) white cylindrical iron tower situated in the rocky headland that forms the southern point in the western end of the Bagatao Island. 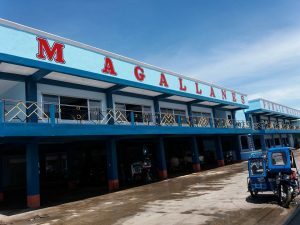 It gives total light elevation of 135 ft. (41.1 m) which serves to mark the entrance to the bay and assist ships in navigating the bend around Ticao Island, Masbate as they head to San Bernardino Strait and exit into the Pacific Ocean. The construction was undertaken under the Bureau of Lighthouse Construction by the American Government sometime in 1903-1904. The tower was one of the several lighthouse towers bought by Spain from France which was turned over to the Americans. 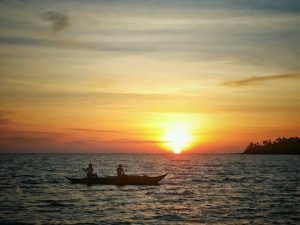 The work in Bagatao Island Lighthouse began in January 1904 with the work party consisting of 2 Americans and at least 6-10 Chinese carpenters and about 30 Filipino laborers hired from Manila, on account of difficulty in securing local laborers. The permanent work consisted of the erection of the iron tower, frame dwelling for the keepers, a frame kitchen, concrete storehouse, an oil room, a cistern of concrete reinforced with steel, a frame latrine, a tripod for a port light and cutting of considerable hardwood lumber for use here and other stations. The tower, an iron cylinder 29 ft. in height was anchored to its concrete base on the summit rock by anchor bolts 1 meter long. The frame dwelling, measuring 38 ft. and 2 inches by 37 ft. and 6 inches was supported by wooden posts set on concrete pillars. The sixth order flashing light (Fresnel Lens), equipped with both incandescent and with ordinary burner, was first lit on May 15, 1904. A red fixed-port light was also displayed on a tripod to the east of the flashing light. The remaining work done by July and August consisted of painting the permanent buildings, removing temporary structures and cutting timber for use of other stations. After completion, the construction party was brought back to Manila. 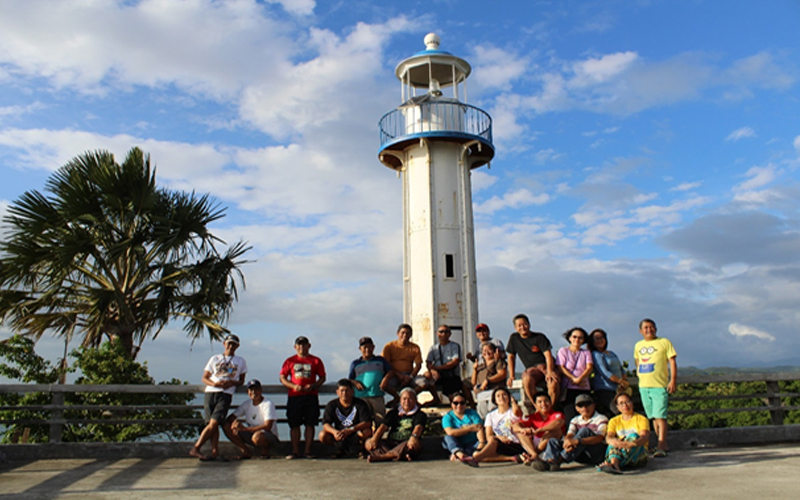 The total cost of the lighthouse was P 20,190.30. 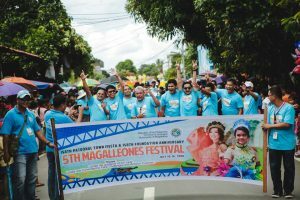 The Local Government Unit of Magallanes, seeing the historical significance and tourism potential both of the lighthouse and of the Island of Behia is working to preserve the structure and improve the surrounding areas. 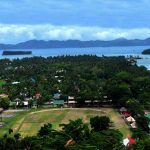 With the help of the administration of Governor Robert “Bobet” Lee Rodrigueza which provided augmentation fund from the Provincial Government of Sorsogon, a view deck with comfort facilities was constructed and water plumbing were installed. This new construction was commenced on the 1st quarter of CY 2017 and is still ongoing to this day. Reference: Wikipedia. 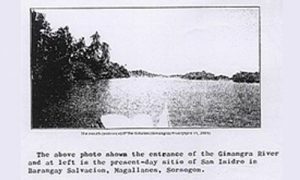 The figures were footnoted to be from the Bureau of Insular Affairs, U.S. War Department, “Fifth Annual Report of the Philippine Commission”, Washington Government Printing Office, 1905 and from the essay of Manuel Maximo Noche Lopez Del Castillo entitled “Lonely Sentinels of the Sea: The Spanish Colonial Lighthouses in the Philippines”.